Park at Hartside Farm (NT976162) and turn left along the private road past Alnhammoor Farm. Just before you reach Snout End, leave the road and follow the green track which winds its way up the lush green slopes of Shill Moor. 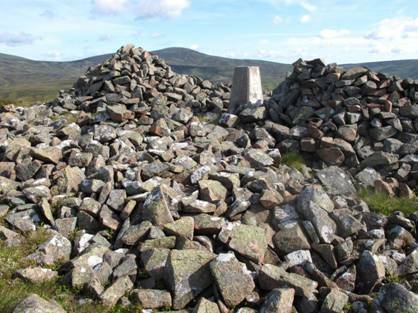 The vegetation changes as you near the top, which is marked by a cairn enclosed trig point. Enjoy the tremendous views to the high tops of the Cheviot, Hedgehope Hill, Comb Fell, Cushat Law and Hogdon Law.